New York Fashion Week is THE event for all fashion lovers around the world. Celebrities, stylists, and designers introduce everyone to the latest trends and set what is going to be hip in the following year. Whatever is shown at Fashion Week is a huge inspiration for the rest of the fashion world. Today, we’re taking a look at how the ponytail is being represented this year. Last year, the tight and high ponytail had its year. It got popular thanks to many celebrities, such as Kim Kardashian or Ariana Grande and was seen all over the globe. According to the recent New York Fashion Week, this trend is officially dead and replaced by a new ponytail trend! This year, the ponytail comes in a relaxed, cool and edgy variety. 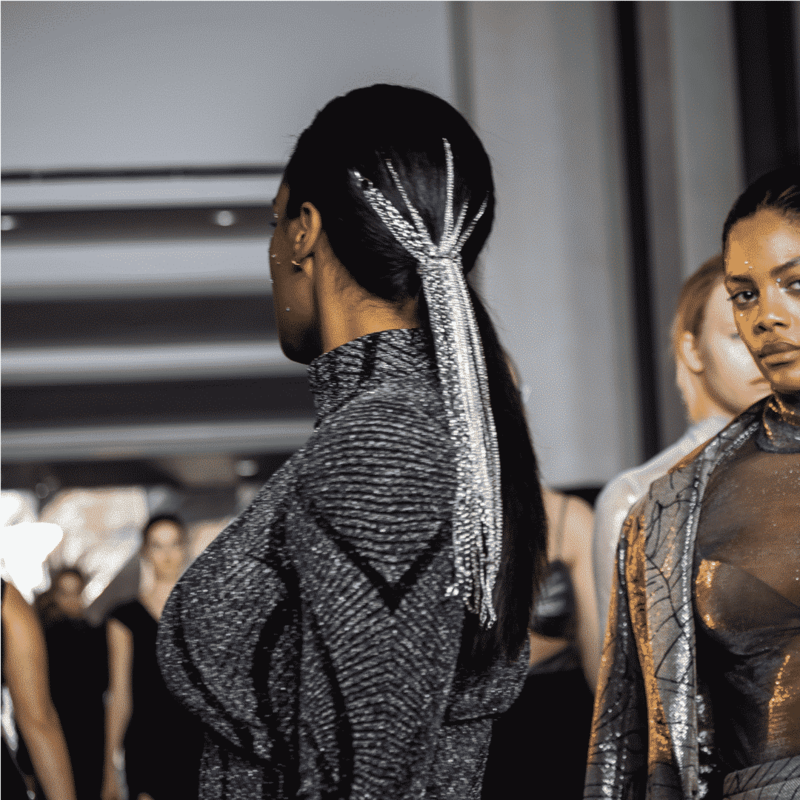 At NYFW 2019, the low ponytail was shown off in countless shows and the hair of the guests. The low ponytail presents a casual look: loose and with hair strands fold together behind the ears. Whether as a plain look, mixed with braids or styled with accessories like in the Christian Siriano show – the low ponytail is the future! The options to style your low ponytail are endless! This trend looks great even without any accessories and is a statement itself. The basic look is perfect for everyday life but can be easily turned into a glamorous hairstyle for special occasions. Here comes some inspiration! The basic low ponytail is easy to style and looks fantastic. Here’s a tip: wrap a hair strand around your hair tie to hide it and fix this strand with a small hair grip. Those easy touches perfect this look. 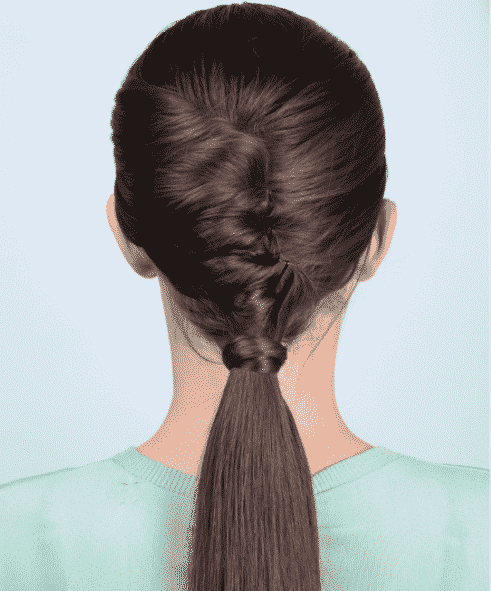 This beautiful ponytail with a twist is simply gorgeous and not too hard to learn! Whether for a day in the office, a dinner with friends or a party – this hairstyle makes you look great in every possible situation. Taylor Swift is showing off her favorite low ponytail! The famous musician is wearing her hair in a low ponytail on the side of her head, letting her locks flow over the shoulder. This lovely look is definitely on trend! We love this style! 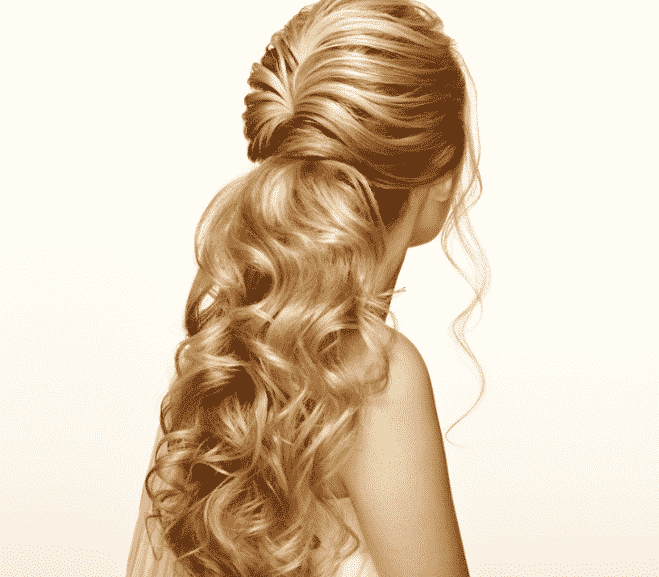 Two loose braids on the side of the head flow together into a stunning low ponytail. 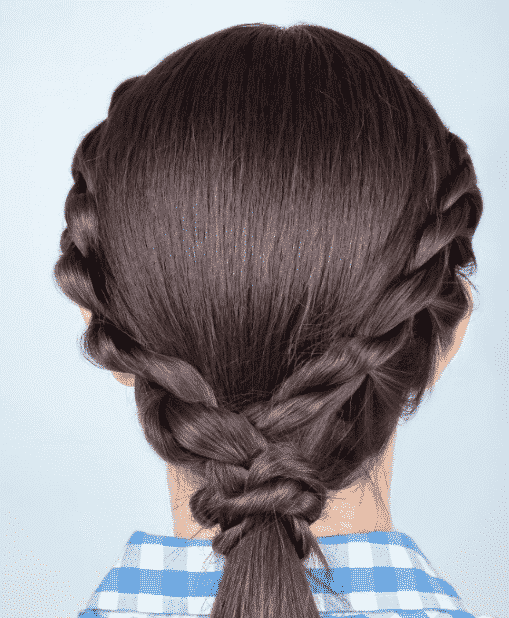 The ends of the two braids are wrapped around the hair tie to hide it and complete this beautiful hairstyle! What should I use in my hair for a ponytail? This style definitely presents the most glamorous variation! The hair looks incredibly voluminous and flows down in beautiful curls. This style is not to be underestimated when it comes to looking your best for a special event. The New York Fashion Week 2019 set a new trend – now it’s your time to create your personal version of it! We hope you got inspired after this article and we can’t wait to see everyone’s unique take on the low ponytail. If you need help styling your hair to perfection, book your appointment at Salon Ziba and discover our styling services. Our professional stylists are here to help you and would love to create your new look!